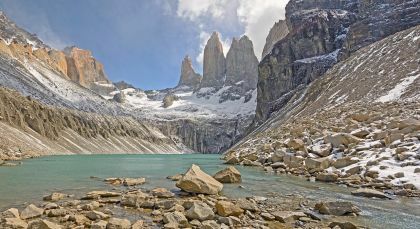 Step up for this unique Argentina and Chile tour as Patagonia is a hiker’s dream! Experience the spectacular jagged peaks, cleaving glaciers and turquoise lakes that give this region its fame. The capital of Argentina is unique in the way of combining Latin American lifestyle along with that of European architecture and culture. 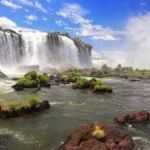 Explore the pulsating Argentine capital on this fascinating day tour of the city’s iconic destinations and eclectic neighborhoods. Set off from your hotel in the company of your guide, enjoying a leisurely tour of Buenos Aires. Walk through the colorful working class neighborhood of La Boca, where the spirit and culture of its immigrants population lives on. 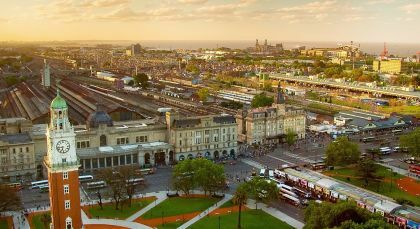 Visit the contrasting locality of Palermo with its open green spaces, wide tree-lined avenues, and trendy bars and restaurants. Next, walk over to the chic French residential neighborhood of Recoleta, teeming with classy art galleries and cultural centers. If you’re lucky, you could even catch an exhibition or two while visiting the district. Visit the city’s iconic landmarks of the Colon Theater, the National Congress, and the Presidential Palace, before returning to your hotel. (Half Day; Duration: 4 hrs; Private Activity & Transfer; Fitness Level: Easy; Please bring comfortable walking shoes, and don’t forget your camera). 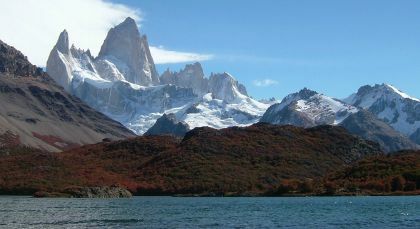 In the language of local Tehuelche people, El Chaltén means ‘the smoking mountain’ and refers to Mt. From being a simple village where time seemed to stand still, El Calafate has grown into a modern city, frequented just as much by the Argentineans themselves as by foreign tourists. The ‘crown jewel’ of Chilean Patagonia, Torres del Paine National Park boasts untouched nature, serene blue lakes, majestic mountain landscapes and rich flora and fauna. Explore the natural beauty of Patagonia during your stay at Tierra Patagonia. Choose from half-day and full-day activities that allow you to experience pure splendor of Torres del Paine. Select from hikes and treks at various levels, horseback rides, and scenic van tours. With a wide variety of activities, there is something for everyone ensuring that everyone is able to enjoy their stay at Torres del Paine. For more detailed information on all the activities offered by Tierra Patagonia please visit their website: http://www.tierrapatagonia.com/excursions/tierra-patagonia-excursions.htm. Patagonia Camp tours offer a firsthand experience of the awe-inspiring nature, intense weather, and magnificent flora and fauna of Patagonia. Their experienced guides will find the best way to provide unforgettable day trips, according to the needs of each guest, and adjusting to the unexpected weather, a characteristic of Patagonia. 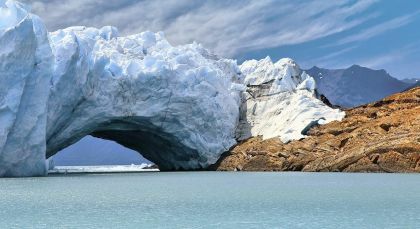 Their many excursions, of varying length and difficulty, will lead you to discover Patagonia’s main attractions and landscapes: ancient forests, lakes of different and intense colors, rivers, mountains and glaciers, either within the Torres Del Paine National Park or on exclusive excursions to private reserves near the camp. For more detailed information on all the activities offered by Patagonia Camp please visit their website: http://patagoniacamp.com/excursions/?lang=en. 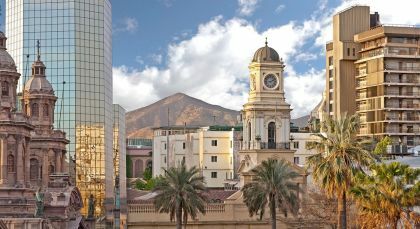 With excellent infrastructure, political stability, and vibrant culture, the Chilean capital of Santiago de Chile is the pride of contemporary South America. On this half day tour explore the colonial heritage and modern flair of Chile’s capital city. View the historic center of the city with its San Francisco church, the oldest building in the entire country and the Lastarria neighborhood, known for its vibrant European charm. Visit Plaza de la Constitución (Constitution Square) and learn about La Moneda Palace, the president’s office, located on the square. (Duration about 4 hours, if you have a preference for timing, please tell your travel consultant at the time of booking, otherwise our team will schedule the tour at the best available time. Private Activity). Accommodation (on a twin-sharing basis) on the indicated meal plan for 10 nights. This listed price is based on two people sharing a double room. The price may vary due to the time of year you travel, the size of your group, and accommodation availability. Our trip with Enchanting Travels was exactly that. On our 12-day visit to Argentina we were treated like royalty and we enjoyed a hassle-free trip, knowing that we had backup for any potential obstacle we might encounter. This is definitely the way to travel in a country when one doesn’t want to be stuck with a group, yet is unsure of language or cultural differences. We can’t wait to travel with Enchanting Travels again!